Welcome back to another musically indulgent week of Sunday Spin! I hope September has been treating you all well! Time to sit back and better acquaint yourselves with another album from our masterly curated selection of Sunday Spin faves. This week? Blood Pressures by The Kills. Here are the basics: The Kills are two members- Jamie Hince (British) and Alison Mosshart (American), who met in London while living in the same apartment building. Apparently, the story goes, Alison overheard him playing some music he was composing and approached him to work together. It was the beginning of a beautiful partnership. Since then, much has happened. They got signed immediately, went on to play countless gigs around the world, Jamie got married to Kate Moss, Alison collaborated with Jack White…but the release of Blood Pressures in 2011 was proof that their mojo hadn’t worn out. The Kills still had magic to share. Also most importantly, this will serve as a short introduction to my favorite badass woman in music. For those who are not familiar with her impressive CV: Alison Mosshart has been on the rock music scene for over 2 decades, as well as (more recently) collaborated with Jack White in a side project called The Dead Weather. Basically she’s an unstoppable force with an amazing voice and great taste in all things; truly a renaissance woman. So the have been around for quite some time; their first full album Keep On Your Mean Side came out in 2003! But in my view, Blood Pressures was a turning point in both visibility as well as critical success. It pretty much solidified their standing as a duo to be reckoned with. The reason why it’s my favorite particularly is because I think it has the perfect level of polish while also retaining the gritty feel of their earlier work. But on an emotional level, it makes you feel really powerful and intimidating which admittedly is something I look for in rock music. All of the tracks have weight to them and are lyrically stimulating, something The Kills are pros at. I picked my five favorite tracks from the album to give you a little taster of what to expect. “Future Start Slow”: And after all God can keep my soul…England have my bones. But don’t ever give me up, I could never get back back up when the future starts so slow… The first song on Blood Pressures is a masterpiece, honestly. That guitar riff lays the groundwork for the rest of the album and really starts it off on the right note. “Heart is a Beating Drum”: Send your love on a rampage, Giver her everything you’ve got. And when you come to hate her, show her more than just a spark. Pretty simple lyrics on this one but for some reason the beat really lifts it up and keeps it from becoming boring. “DNA”: Fate, with a single blow, has custard-pied me now. This song is fearless in its measurement and really hits you straight on, even with the first note. It’s heavy instrument-wise, but Alison’s vocals balance it out. “Baby Says”: Baby says she’s dying to meet you, take you off, and make your blood hum and tremble like the fairground lights… Features some of their best lyrical work on the whole album, in my opinion. The words speak for themselves. “Pots and Pans”: Ain’t enough salt in the ocean that cares enough to keep you floating…I ain’t a drop left in my tank, to move move move your dead weight. This is the last song on the album but maintains their classic contrasting dynamic of heavy/light sound. A great choice to close the album with a long instrumental play-out. Overall Blood Pressures just solidifies my love for The Kills as a band that absolutely refuses to minimize their sound or bend to what people think their music should sound like or give in to the pressure of releasing a tame and typical record. The Kills set an example in other ways as well; they have time and time again stated that fashion and how an artist crafts their own image in terms of appearance is deeply important to them and that looking the part should always be stressed. They both place importance on matching the power of the music to an effort in terms of style. Recently I finally got to see them live at Governor’s Ball music festival in NYC, which was quite the event. Mainly because of how long I’ve waited to experience their live show but also because directly preceding them was Tyler the Creator which led to a sort of strange mix of demographics…but nonetheless they put on a mesmerizing show. You could definitely tell that even those who were not standing around to see them were impressed by what they were witnessing, which in my opinion is the mark of a talented artist(s). And the chemistry between Jamie and Alison has not even simmered a little bit; they really do play off of each other even when so much of the singing is in unison! 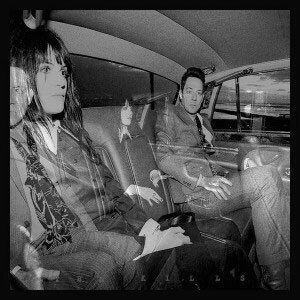 To wrap it up, Blood Pressures is such an important album to me because it really shows how far the band has gotten in fine-tuning their sound but also not compromising the personality of The Kills, which is what any artist in any medium should strive to accomplish.